..the humanitarian reaction almost imperceptibly transforms a political-economic problem into a moral one of “refugee crisis” and of “helping the victims.” Further, rather than attacking the silent, low-class majority as racist and ignorant of the immigrants’ plight, or, at best, as stupid victims of racist big media propaganda, would not the truly humanitarian reaction be to address their actual concerns that express themselves in a racist way? ....immigrants appear (or pretend) to be desperate refugees, while in reality they are the spearheads of a new Islamic invasion of Europe. By way of this twist, the cause of problems that are immanent to today’s global capitalism is projected onto an external intruder: instead of refugees who are ultimately the victims of global capitalism, we get fundamentalist terrorists who threaten our way of life from outside. You can read the fantastic article here. We probably all remember the scene from Luis Buñuel’s The Phantom of Liberty in which relations between eating and excreting are inverted: People sit at their toilets around the table, pleasantly talking, and when they want to eat, they silently ask the housekeeper, "Where is that place, you know?," and sneak away to a small room in the back. And ask the question: "So are the Republican candidates’ debates—to prolong the metaphor—not like this reunion in Buñuel’s film? 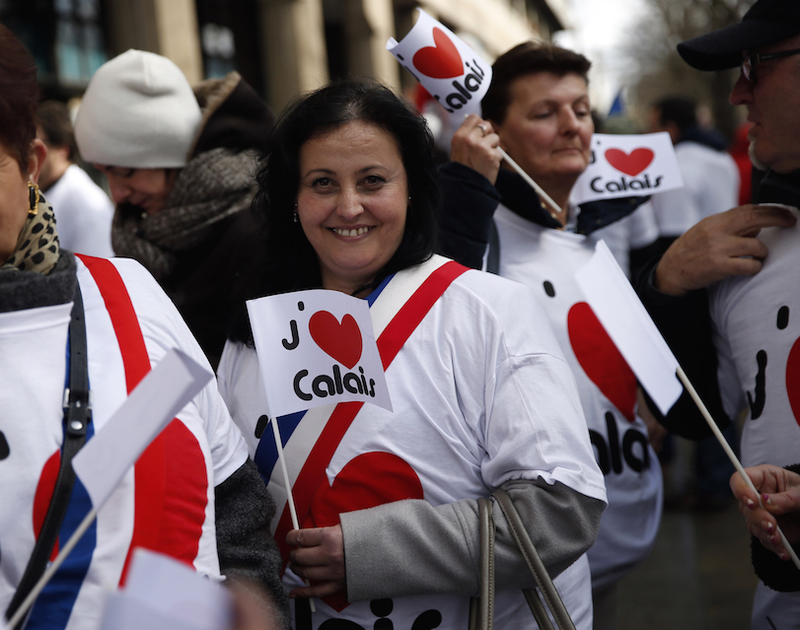 And does the same not hold for many leading politicians around the globe?" The problem here is what Georg Wilhelm Friedrich Hegel called Sittlichkeit: mores, the thick background of (unwritten) rules of social life, the thick and impenetrable ethical substance that tells us what we can and cannot do. 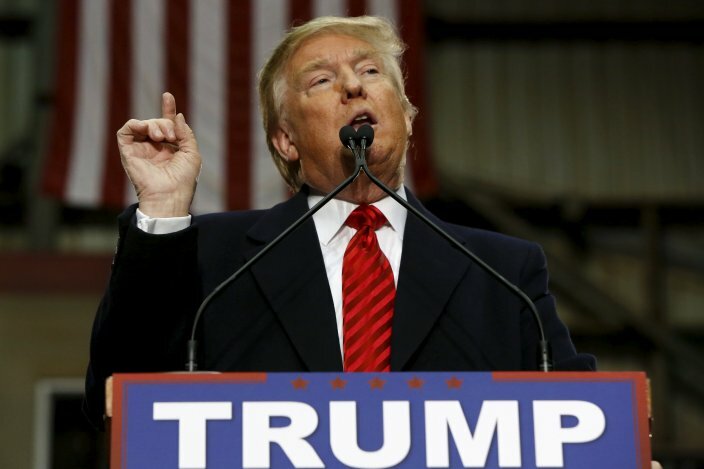 These rules are disintegrating today: What was a couple of decades ago simply unsayable in a public debate can now be pronounced with impunity. Slavoj Žižek Turns 67. Happy Birthday Slavoj! 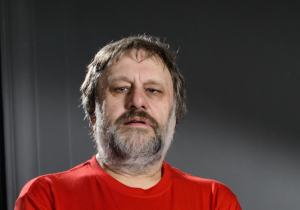 Today is the birthday of Slavoj Žižek. He is turning 67 today. Wish you a happy birthday, Slavoj! Briefly, Žižek’s interpretation of Nolan’s The Dark Knight was prompted by the film’s “extraordinary popularity”, which many people probably ascribed to the fact that it “humanised” the superhero, Batman, by uncovering his “doubts and weaknesses” (p. 59). As Žižek argues, a “very thin line” separates such “humanisation” from “a resigned coming to terms with lying as a social principle” (p. 59). What does he mean? It will be recalled that, when Batman and his policeman friend, Gordon, discover that the newly deceased district attorney, vigilante Harvey Dent, was in fact a multiple murderer, they realise that the truth about this popular figure’s criminal activities would undermine citizens’ trust in Gotham City administration as a whole. Hence Batman persuades Gordon to attribute the murders in question to himself (Batman), in this way compounding the lie (in fact, as Žižek shows, lies abound in the film). Significantly, it is only the villainous Joker (who does not “wear” a mask, but IS his mask) who wants the truth to be revealed, specifically the identity of Batman beneath his mask, because he believes (with good reason) that the truth will “destroy the social order” (pp. 59-60). The message: at any given time, society is founded on a lie that the people “need” to believe, hence supplying what one may perhaps call the “mythic foundation” of society. Žižek’s answer is disconcerting in the extreme, but makes perfect sense against the backdrop of the meaning of his book’s title: Living in the End Times. Lest it be fundamentally misunderstood, Žižek is not proclaiming the apocalyptic “end of the world” as it is understood in various religions; he was writing about a different kind of apocalypse — the fact that we live in the midst of a colossal transition to a world the contours of which we can only dimly guess at. What is certain, however, is that the established, so-called democratic (but really oligarchic) neoliberal order has its back against the wall, as Žižek demonstrates in this complex book by elaborating on the instabilities in the neoliberal capitalist system, on what might be called a revolution in biogenetics, on the regular occurrence of social conflict (witness the most recent one in Jerusalem, which is linked to a larger one) and — perhaps most important and far-reaching — the increasingly visible ecological crisis. All of these things are subject to the big lie, of course: the leading powers in the world will never admit that they constitute (for them) insurmountably problematical areas of human activity, given their possible consequences. 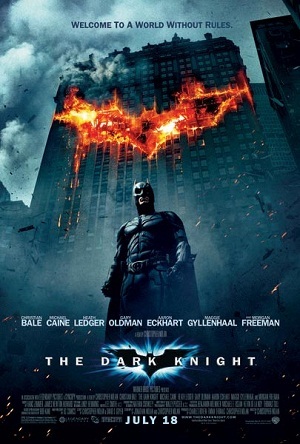 Hence Žižek’s considered opinion of the significance of the lie in Nolan’s film (p. 61): “The Dark Knight is a sign of a global ideological regression … the destruction of (emancipatory) reason.” In a nutshell, if I understand him correctly, what he means by this is that the film is symptomatic of the felt need for a foundational lie in the present era. But one may add another interpretation of Žižek’s understanding of Nolan’s popular movie: it reveals his underlying insight that it is becoming increasingly apparent that there is no justifiable foundation (or believable myth) to the current social, political and economic order any longer. Hence the prominence of the “need for a lie” in Nolan’s film — something that surpasses its fictional boundaries and points to the need for fictions to sustain the extant global order. Just how irrational this search for suitable fictions, with their inescapable ideological implications, can be, is cleverly demonstrated where Žižek traces the “ideological regression” from a novel through three film versions based on it, each remake registering a further regression (no doubt under pressure of the ideological needs of a later time). The novel in question is Richard Matheson’s 1954 text, I am Legend, which has spawned three films — all of them deviating from the novels’ plot to differing degrees — namely The Last Man on Earth (in Italian, 1964), The Omega Man (1971) and most recently I Am Legend (2007), where Will Smith plays the central character, Neville. The crucial differences, discussed by Žižek (p. 61-63) between the original novel and its cinematic derivatives register the degrees of ideological regression in question, where such regression is an index of the felt need, in contemporary society, for some kind of spurious justification in the shape of a “lie”. In the novel the protagonist, who is the sole human survivor of a cataclysm, discovers that he is not alone, but is stalked by the undead (vampires) and infected humans. The novel’s title, I am Legend, is a “multicultural” paradox, according to Žižek, because it reverses what humans assume about vampires, namely that they are legendary. In the novel Neville finds himself in the situation where he has become the monstrous “legend” for the vampires (he kills both vampires and “still living” humans), and he has to pay the price by being executed. In the first film version of 1964 the only deviation from the novel is Neville’s death in the church where his wife is interred. This is the first regression, says Žižek. Instead of retaining the radical “multicultural” message of the novel, which shows that one’s own (here, human) culture has no claim to being “better” than others (here, the vampires’ culture), the hero returns to his roots, affirming its vaunted superiority. The second (1971) film version regresses further by showing the protagonist handing the mutant survivors of the catastrophe blood serum he has developed to restore their humanity: as Žižek remarks, this places the film in the “standard” category of a last-ditch prevention of the extinction of humanity. Again the radical message is lost. The third (2007) version goes the whole hog in ideological regression. Instead of facing the “multicultural” truth about the contingency of human cultures, we witness Neville sacrificing himself in Christological fashion so that a woman and child can deliver the cure he has developed for infection to a community of survivors. Instead of the original paradox of the title (a man becoming a legend for vampires), Žižek observes, in the last film the hero, after his death, merely becomes a legend for surviving humans. What’s wrong with this, and what does this tell us about the lie underpinning society? The final message of film-version three is simply fundamentalist, demonstrating what Žižek means by the annihilation of “emancipatory reason”: if one can no longer depend on enlightened reason to provide a way out of the mess, revert to an irrational surrender to fundamentalism. The lie involved is the refusal to acknowledge the spurious status of this surrender to religious fundamentalism (which one also witnessed in M Night Shyamalan’s Signs of 2002). In the final analysis these films are symptomatic of what is the case in extant society today: instead of exposing the lie(s) underpinning the global order, they are continually reinforced, and Hollywood is metonymically implicated in this reinforcement of an irrational surrender to blind faith by the powers that be. If it is indeed the case that the social order cannot dispense with a foundational lie or myth of some sort, the remaining question is the one Friedrich Nietzsche tried to answer with his Thus Spoke Zarathustra: what myth do we need today, to sustain the transition to a different kind of society? 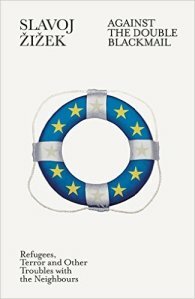 A new book by Slavoj Zizek: Against the Double Blackmail: Refugees, Terror and Other Troubles with the Neighbours is coming out end of April, 2016. The book is going to be published by Allen Lane. The book is listed on Amazon UK website. It's not yet available on Amazon US website. This is not big book: 128 pages only. There is no detail available about the book. However, it's clear that the book covers the issues related to current refugee crisis and terror around the world. The prize-winner in the contest for the greatest blunder of 1998 was a Latin American patriotic terrorist who sent a letter-bomb to a US consulate in order to protest against the Americans interfering in local politics. As a conscientious citizen, he wrote on the envelope his return address; however, he did not put enough stamps on it, so that the post office returned the letter to him. Forgetting what he put in it, he opened it and blew himself up—a perfect example of how, ultimately, a letter always arrives at its destination. And is something quite similar not happening to the Slobodan Milosevic régime with the recent NATO bombing? For years, Milosevic was sending letter-bombs to his neighbours, from the Albanians to Croatia and Bosnia, keeping himself out of the conflict while igniting fire all around Serbia—finally, his last letter returned to him. Let us hope that the result of the NATO intervention will be that Milosevic will be proclaimed the political blunderer of the year.